Description: An original painting by Kalpana Soanes. Glimpse Of Precarious Heaven, a delicately balanced piece in blue. Gentle. Dreamy. 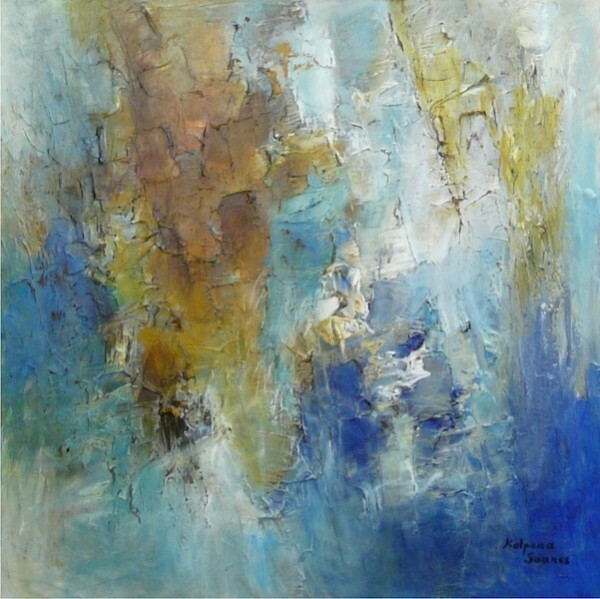 An abstract to create an ambience of peace in your home. The sides are finished in black and the contemporary artwork is ready to hang. There is no need for a frame. This original painting will be delivered with a signed Certificate of Authenticity.